It is a recognised fact that education in Scotland is facing huge problems. If the decline we have witnessed nationally is to be reversed, we must all take seriously our responsibility to ensure all children can reach their full potential. Within that context, we must remember that the best schools are partnerships between inspirational teachers, motivated children, engaged parents and a supportive community. The building simply facilitates learning, it is the other elements that make it happen. This is why the crisis facing Currie Community High School is so concerning. This school is one of the best in our Capital because of its place at the heart of the community it serves. People are right to be concerned about moving the school and dividing the community. We must take the news that the school building has structural problems seriously, but we must also be careful that they are addressed without harming the life chances of current and future pupils. Personally, I remain to be convinced that the entire building needs to be demolished and replaced elsewhere. I also share the concerns of my constituents about the unexpected nature and complexity of the proposals launched by the Council’s Education department. As a local Councillor, I was only told about the consultation after the school’s Parent Council. I’m also concerned that no educational impact study has yet been undertaken (this will happen if the proposals reach the next stage) and that my constituents without children at the school were not directly notified. Indeed, I have constituents living next to one of the potential sites who found out about the proposals via the Evening News. Addendum: the consultation has been extended up to the 29th of March. 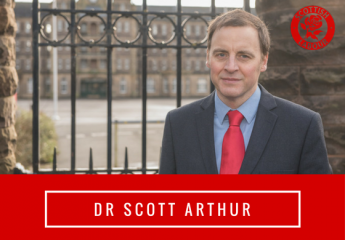 ← Some thoughts on the SNP’s 2018/19 budget allocation for Edinburgh.